TheArmenianKitchen.com : Muhammara made with red pepper paste – a really easy version! 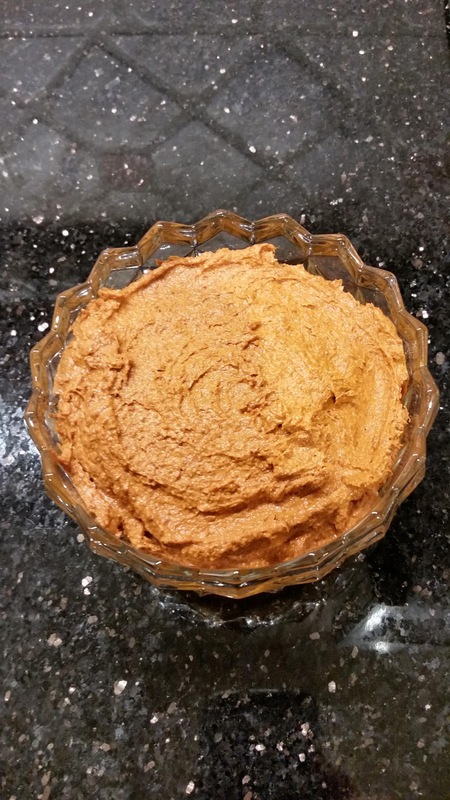 Muhammara made with red pepper paste – a really easy version! I’m always amazed when I get an Armenian Kitchen email from someone I knew from my childhood. One such email reached me recently from John, an old family-friend. I really knew his two older sisters better, as they were closer to my age. John asked me for some advice on making muhammara using commercially prepared red pepper paste which is sold in most Middle Eastern stores. “I see no reason why you couldn't make it using red pepper paste. I would suggest experimenting a bit. After the party, John sent me the photo of the finished product (see below), and guest evaluation. 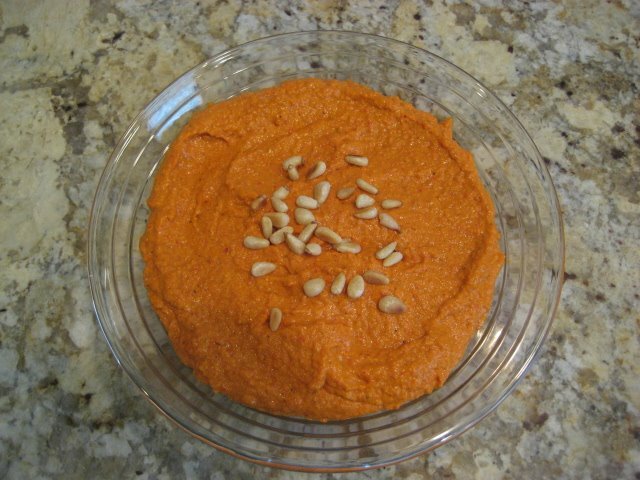 “The muhammara was much redder in person (than in the photo). The guests did like it, despite vying for attention with two types of homemade hummus as well as string cheese.